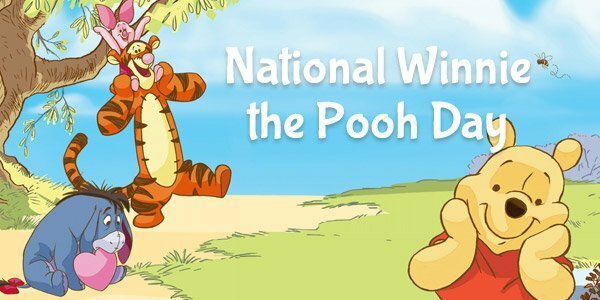 Today is Winnie The Pooh Day. It is also the birthday of A.A. Milne's birthday the author of Winnie the Pooh. He was born January 18, 1882. Today offers you an opportunity to enjoy your favorite bear and all of his friends. Milne was born in London and is best remembered from the stories of a boy named Christopher Robin as well as Pooh and the other characters. Did you know that Christopher Robin was the name of Milne's own son?? The thought of Winnie the Pooh was originally from a soldier who brought home a black bear cub from England. Its mother had been killed by hunters eventually it was took to the zoo in London. Milne's son Christopher loved the bear and spent hours at the bear cage. The bear was named Winnie short for Winnipeg Canada. Christopher named his bear Winnie and it became the subject of Milne's books about Winnie the Pooh. There are several techniques for blanching the cabbage leaves. I prefer to cut the bottom of the stems of the outer leaves, gently remove them from the head, then cook 3 or 4 at a time in lightly salted boiling water until tender, about 4 minutes. When I get to the inner portion of the cabbage where the leaves are too tight to remove without ripping, I immerse the remaining head into the water and remove the outer leaves as they become loose. Separate the cooked leaves on a clean towel so they can drain and cool quickly. 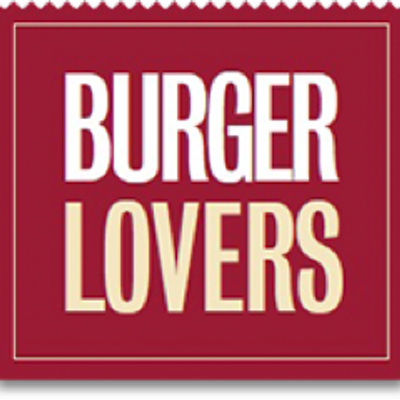 To make the sauce, heat the butter and oil in a medium saucepan over medium-high heat. Add the onions and sauté until just starting to brown. Add the tomatoes, sauce, brown sugar, lemon juice, salt and pepper. Reduce heat to medium; cover and simmer about 10 minutes. Add the pinch of cinnamon and taste for seasoning. Preheat oven to 350° F. To assemble, first cut a vertical slit in the thick portion of the leaves so they will roll easily. Starting with the largest leaves, place about 1/4 cup of filling at the thick end. Start to roll, tucking in the sides as you go. Roll as tightly as you can. This will make about 16 rolls, depending on the size of the leaves. When you have used up all of the filling, take the remaining leaves and lay them on the bottom of a baking dish or roasting pan large enough to hold the rolls in one layer. Top with the remaining cooked rice. Spoon just enough of the sauce over the layer to moisten. 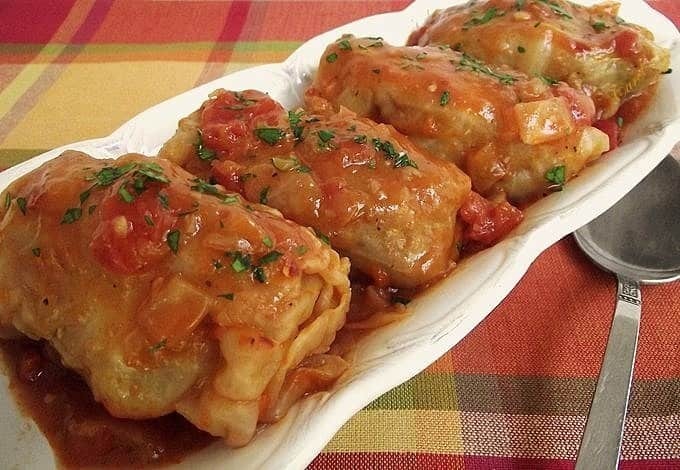 Place the cabbage rolls, seam-side down, in rows on top of sauce. Pour the remaining sauce over all. Cover the baking dish tightly with foil. Bake for about 1 hour or until hot and bubbly. 1 red or green apple , cored, thinly sliced. 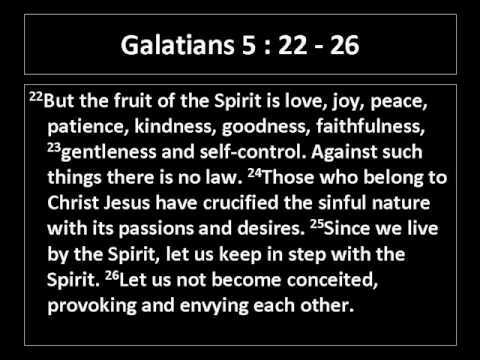 Many may think that it is so hard to live within the guide lines of being a Christian. 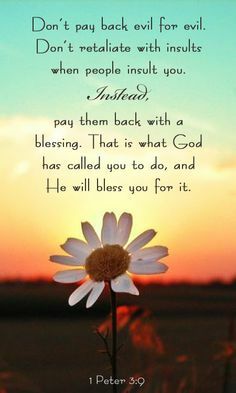 We have been blessed to receive the love of Christ. The truth is that we should want to live and follow the guides that the bible Gods word sets forward. 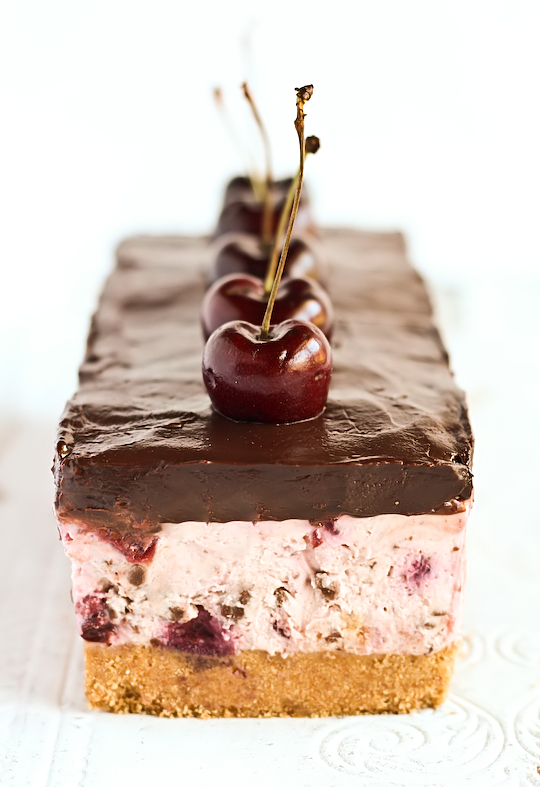 This month we have shared a variety of cherry recipes here on Annies Home. Cheesecake recipes, cupcake recipes, and pudding recipes to name just a few. 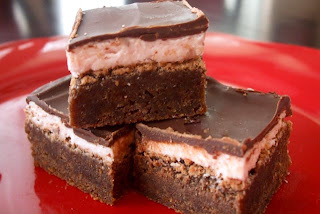 Now check out this great chocolate cherry brownie recipe. Yummy!!! Preheat oven to 350 degrees. Line a 9×13 inch pan with foil making sure the foil extends over the edges by at least one inch. Lightly spray with non-stick spray and set aside. Chop both unsweetened chocolate and two sticks of butter into chunks and place together in a microwave safe bowl. Microwave in 30 second intervals, stirring in between, until just melted and smooth. Set aside to cool, stirring occasionally. With an electric mixer or stand mixer beat eggs, sugar, and vanilla for 2 minutes. While egg mixture is beating, measure out flour and combine with baking powder. While mixer is running, slowly add melted chocolate and beat to combine. Turn beater speed to low and add in flour by spoonfuls. Mix just until combined. Pour batter into prepared pan and bake for 25-35 minutes or until a knife poked in center comes out clean. Cool completely on a metal rack. When brownies have cooled to room temperature, prepare frosting. Combine all frosting ingredients, starting with 1 1/2 tablespoon of milk, and beat until light and fluffy. Add more milk by teaspoonful as needed. Spread frosting evenly over brownies and then place brownies in fridge to chill. While brownies are chilling prepare chocolate glaze. Place chocolate chips and 4 tablespoons butter in a microwave safe bowl. Microwave in 30 second intervals, stirring in between, until just melted and smooth. Set aside to cool for about 15 minutes and then carefully spread on top of the frosting layer. Return pan to fridge to cool. When chocolate has hardened, use edges of foil to remove entire brownie from pan. Cut into squares and serve. 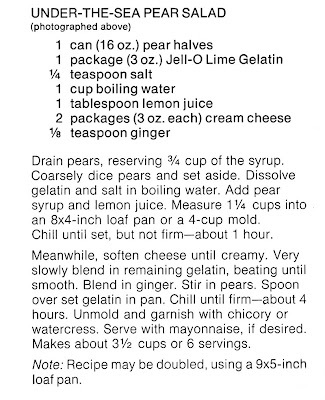 Drain peaches, reserving 2/3 cup juice. Chop peaches into small pieces; set aside. In a bowl, dissolve gelatin and sugar in boiling water. Stir in reserved syrup. Chill until slightly thickened. Stir extract into whipped topping; gently fold in gelatin mixture. Fold in peaches. Pour into a 6-cup mold (spray with Pam). Chill overnight. Unmold; garnish with additional peaches if desired. Yield: 8-10 servings. 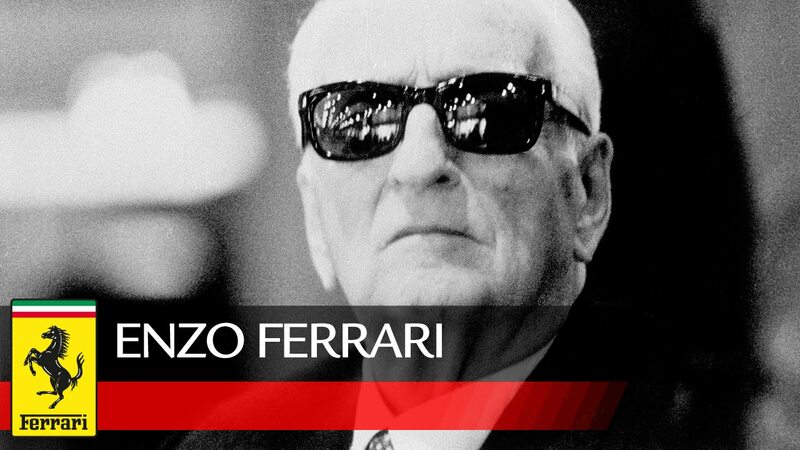 Enzo Ferrari celebrates his birthday today. Many of you may recognize his name and know that he was involved in the auto industry. It may seem a bit odd to see a post like this on a food blog but this is not just any food blog it is annies home. At Annies Home I love to share all sorts of great post literally anything that sparks my interest. This is not the first car post I have shared here either, if you have enjoyed visiting my blog for a while then you may remember a post last year about Rolls Royce and if not maybe you will want to read it now. Ferrari was a successful race car driver before entering the auto maker world. In 1919 Ferrari began auto racing. Ferrari devoted his life to building powerful sports cars as well as a championship racing team. The Ferrari marque earned fame after World War II when the drivers on the team continued to rank up major championships. Ferrari found personal life a lot more devastating than racing. February 18, 1898 in Italy the great car race driver and auto maker was born. His father was a metal worker. Enzo would find himself in love with racing by the age of 10 after his dad took him to watch a car race. He also dreamed of singing opera one day but when his father and brother were stricken and died from flu in 1916 Ferrari would have to grow up fast. He would join the Italian army in 1917 but would be discharged after his own bout with the flu. A few years later in 1919 Enzo Ferrari would move to Milan and start a job as a test driver. He would also be allowed the chance to compete with the company's racing team. At his first race he would come in fourth. He would continue to race but move to a new team. In 1923 he would win a big race in Del Savio. It was here that he would meet the parents of a World War I flying ace who would suggest using the emblem from their sons plane for his racing car. The same symbol of a prancing horse would come to stand for Ferrari Marque. In 1929 he would form his own racing team that included Alfa Romeos as well as others. March 1947 Ferrari would take the first official Ferrari, the 125 S, out for a test drive. It would win the Rome Grand Prix and later at the British Grand Prix. But while the racing world was awesome his personal world started falling apart. His son would die from muscular dystrophy in 1956 which would nearly make Ferrari a recluse. Between the years of 1955 to 1965 Ferrari would see 6 of the drivers on his team killed. Ferrari was tried and acquitted for manslaughter when one of his cars sped and ran off the track and into a roadside crowd killing nine spectators. Ferrari would suffer from kidney disease and pass in 1988. In a small skillet, saute the mushrooms, onions and garlic powder in butter until vegetables are tender. Remove from the heat. In a large bowl, combine the Worcestershire sauce, mustard, salt and pepper. Crumble pork over mixture and mix well. Shape into eight patties. Spoon mushroom mixture into the center of four patties to within 1/2-in. of edges. 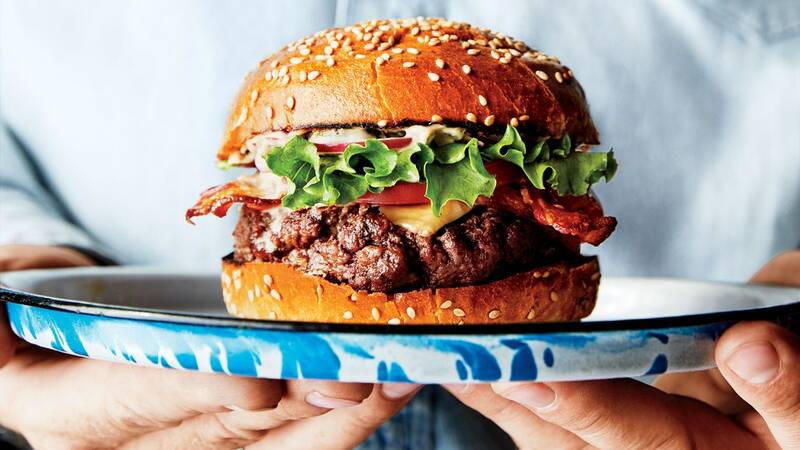 Top with remaining patties; pinch edges to seal. Grill, uncovered, over medium heat for 5-7 minutes on each side or until a meat thermometer reads 160° and meat juices run clear. Serve on rolls with the lettuce, onion, tomato and mustard. Yield: 4 servings. cherry pie filling is the number one pie filling sold in the US. 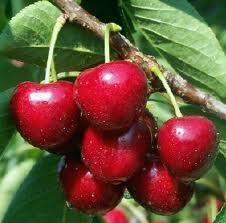 Tart cherries contain 19 times the of beta carotene of blueberries and strawberries. They are also rich in Vitamin C and Vitamin E and also provide potassium, magnesium, folate, iron, and fiber. Tart cherries are one of the few known food sources of melatonin. Melatonin is an antioxidant that helps regulate our circadian rhythms and natural sleep patterns. Melt butter in pan. Add chicken pieces and cook until chicken is almost done. Add mushrooms, peppers and onion and cook until vegetables start to soften. Add the chicken stock and stir. 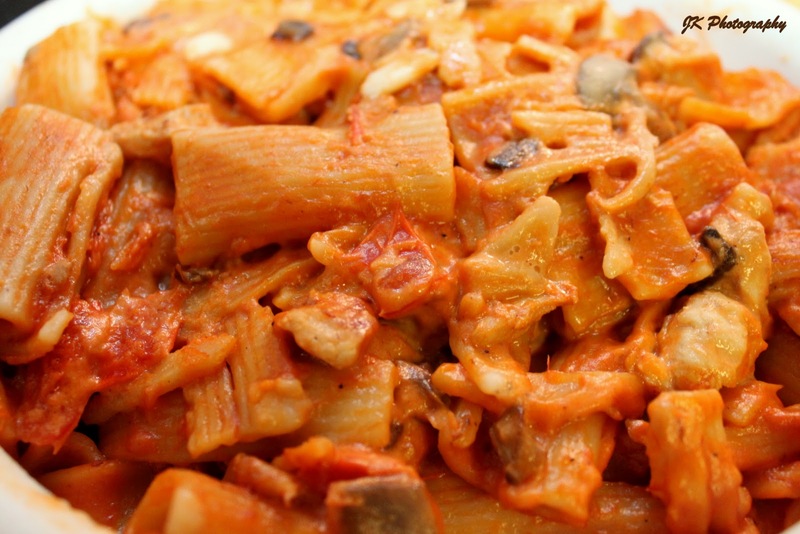 Stir together tomato sauce and heavy cream, then add to chicken & vegetable mixture. Add parsley, paprika and red pepper flakes. Bring to a boil, reduce heat and simmer for 20 minutes. Whisk cornstarch with some water until smooth. Gradually add to sauce, until the sauce reaches desired thickness. Pour over cooked pasta and mix together. Layer 1 - Refried black beans mixed with taco seasoning. Layer 2 - 2 strips of bacon. Layer 3 - Pieces of crunchy romaine lettuce. Layer 4 - Matchstick carrots. I've been adding these babies to lots of sandwiches and wraps lately. They add a little crunch. Layer 5 - Sliced avocado. I don't feel I need to qualify this layer. Layer 6 - Now stay with me for a minute here. This really is a good addition. I saute slices of zucchini in olive oil and parmesan cheese. Layer 7 - Sour cream. In a large skillet combine red beans or kidney beans, undrained tomatoes, broth, rice, lima beans, green beans, and basil or Italian seasoning. Bring to boiling. Reduce heat. Cover and simmer about 15 minutes or until rice is tender. Combine butter, salt, and water. Heat to boiling. Sift flour and measure. Add to boiling mixture. Beat vigorously until mixture leaves sides of saucepan and does not cling to spoon. Remove from fire. Cool slightly. Add unbeaten eggs, one at a time. Beat thoroughly after the addition of each egg until the mixture is smooth. Drop by tablespoonfuls into well-oiled muffin tins or onto a well-oiled baking sheet, 2 inches apart. * If the baking sheet is used, shape mixture into rounds and pile slightly in the center. Bake in hot oven (400 F.) 30 minutes. Lower heat to 350 F. Continue baking 10 minutes, or until firm and dry. Remove from oven. Cool. Cut a slit in the side of each with a sharp knife. Using a spoon or pastry tube, insert cream filling, sweetened whipped cream, or fruit. Sprinkle with powdered sugar. 6 servings. Susan Brownell Anthony was born on February 15, 1820. During her life time she would become an American social reformer and an activist for women's rights. She would become a pivotal individual during the women's suffrage movement. This was not the way her life was meant to go as her life dictated as she was born into a Quaker family. Her family was committed to social equality and was against slavery. At the age of 17 she became an activist collecting names for a petitions at the age of 17. In 1856 Susan was a New York state agent for the American Anti-Slavery Society. Susan would meet Elizabeth Cady Stanton in the early 1850's. The women would become life long friends and co-workers fighting for social reform and women's rights. Together the ladies founded the New York Women's State Temperance Society. In 1863 the Women's Loyal National League was started and the ladies helped conduct the largest petition drive in the U.S. at this time. In 1866 the American Equal Rights Association which campaigned for equal rights for both women and African Americans was initiated. The ladies started a women's rights newspaper by the name of The Revolution in 1868. Anthony would take brave steps in her life such as voting in her hometown of Rochester, New York and being arrested and convicted for doing so. She refused to pay the find that the authorities argued she did but then declined to take further action. The arrest and conviction drew attention to the goal the women wanted to stand for and change. The nineteenth amendment of the U.S. constitution would take place because of actions like these in 1920. This amendment would give women the right to vote. Susan B. Anthony traveled in support of women's suffrage appearing and speaking at 75 to 100 places a year. She would work on many state campaigns as well. She would help form the international council of women which is still active today. In 1900 she would celebrate her birthday in the White House. She had been invited by President William McKinley. In 1979 she would be depicted on a U.S. coin. This would come out when I was 9 years old. I had no idea that this coin that resembled the quarter was a Susan B Anthony dollar. I in turn spent it as a quarter my aunt would go back and get the money as she knew the difference and shared the story of Susan B Anthony and why as a girl in the U.S. should grow up to be a proud woman. Heart disease is the leading cause of death for both men and women. 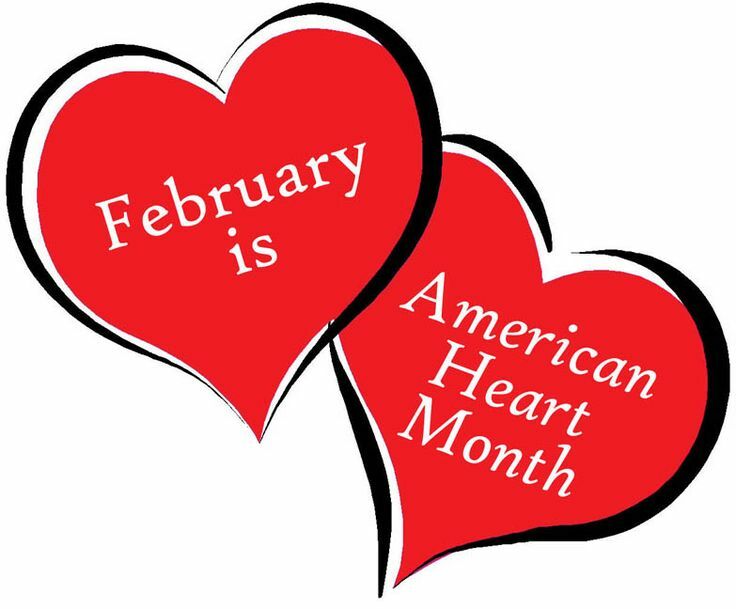 In the united states every year 1 in 4 deaths are caused by heart disease. To prevent heart disease and increase awareness of its effects, Annies Home is proudly participating in American Heart Month. You can make healthy changes to lower your risk of developing heart disease. Controlling and preventing risk factors is also important for people who already have heart disease. • Quit smoking and stay away from secondhand smoke. • Control your cholesterol and blood pressure. 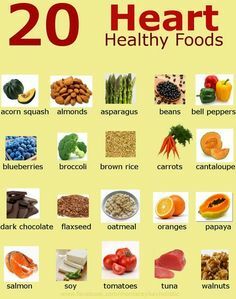 • Get active and eat healthy. 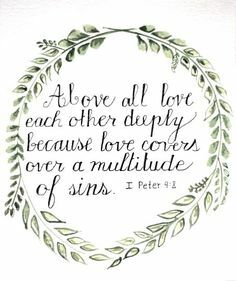 Would the world not be easier if we followed the world of God and treated each other with love and care?? The bible says that we are to take care of each other as if we were all family. If we followed this I am sure the things that are said the deli-quince in promises would not happen. Blood for blood should not be the case for as the bible and my grandmother would always say if someone slaps you on the cheek turn your cheek and let them slap the other as well. There is no reason that we should ever pay back evil for evil if someone does something to us does not mean that we must do it to them. Have you ever noticed what happens when you smile and wave back to those that may be your enemies?? This Christmas at work we had a challenge we had a party where we drew names to give each other a gift. I received the name of a co-worker that I did not always get along with. I say to you that I was a bit afraid of what to give the person of the name I drew. So I purchased a gift that fit both my heart and I thought she would like then I wrote a card that shared my thoughts. I believe since that time we have became closer friends. 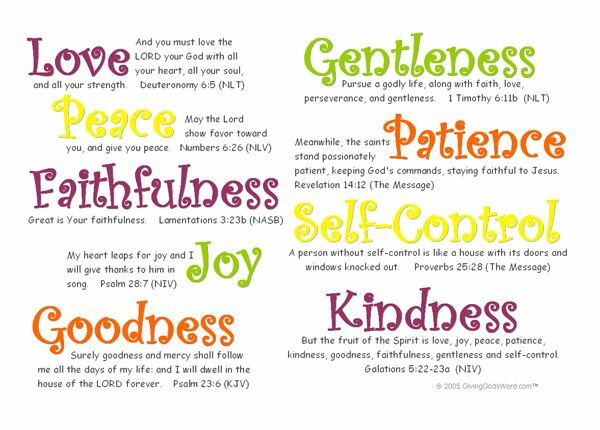 So showing care as God demands and love of the Christian spirit the situation was made better rather than worst. Father, I confess that I have let my own over-sensitive self be wounded and have reacted with pettiness when my brothers and sisters in Christ have not treated me as I felt I deserved. I know Jesus was treated so rudely and shamefully by those he created and so I shouldn't be surprised when things don't always go well for me. But Father, please help me to know when to challenge those who wound me with a loving confrontation and when to just ignore the barb and find a way to minister to them because of some deeper wound has crippled them in their life. 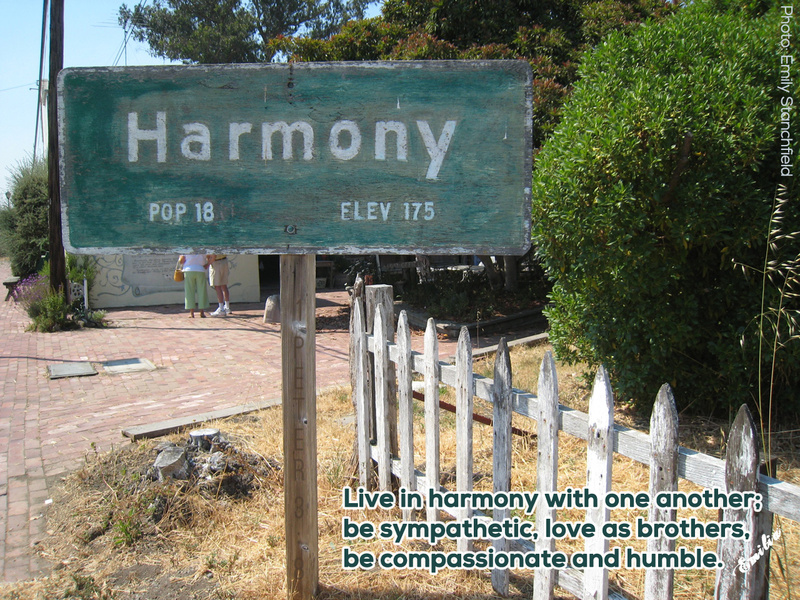 Father, let me be an instrument of your peace, harmony, grace, and unity. In Jesus' name I pray. Amen. Note: I found that this ganache was too rich and overwhelming for the rest of the dessert, you can definitely skip it, or replace it with a layer of cherry jam or make another batch of the cherry filling above. For the crust; preheat oven to 160°C (325°F). 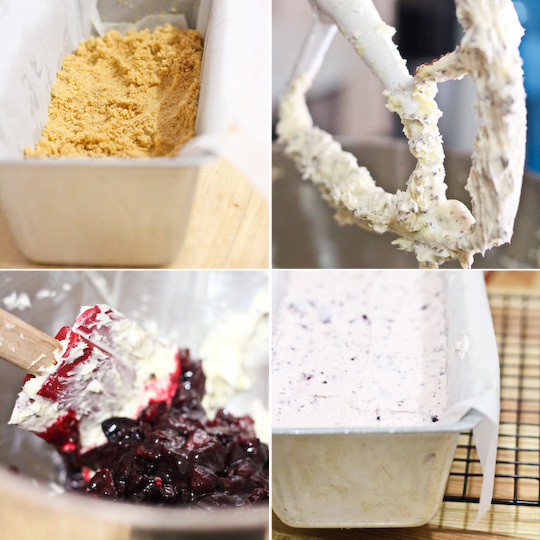 Grease a 10x30cm rectangular loaf tin (or a 21cm springform tin). Line the base and two long sides of the loaf tin with baking paper leaving some extra baking paper hanging over the edges, this will make it easier to lift the cheesecake out of the tin later. Mix crushed biscuits and 1 tbsp sugar together in a medium bowl. Add butter and stir until well combined. Using your hands, spread mixture out in an even layer, then use your fingertips to press crumb mixture into bottom of tin to form an even crust. Transfer to a baking sheet and bake until crust is set and golden in places, 15–20 minutes. Set crust aside until cool. Place chopped cherries, lemon juice and 1 tbsp sugar in a small saucepan and place on medium-low heat, stirring until the sugar dissolves. Add the cornflour mixture to the saucepan and stir over heat until mixture starts to thicken, then set aside to cool. Prepare the cheesecake filling; Place cream cheese, icing sugar and vanilla in a large mixing bowl and beat on high speed with an electric mixer until smooth. With the mixer on low speed, gradually add the finely chopped chocolate and beat until it is evenly distributed. Stir cherry mixture into the mixing bowl until combined. In a separate mixing bowl, carefully beat the cream to stiff peaks (keep a close eye on this as the thickened cream is easy to overbeat). Fold cream into the rest of the mixture and then pour over the cooled crust. Chill in the fridge for at least 3 hours or overnight. Lift out of the tray using the baking paper flaps and peel away from the sides, you can run a knife under hot water and then use it to slice a thin layer of the sides to make it look neater. If you decide to do the chocolate ganache on top, place cream in a small saucepan on medium heat until it just comes to the boil. Chop up chocolate and place in a mixing bowl and pour the hot cream over, leaving for 5 mins to let the chocolate melt. Whisk mixture together until smooth and pour a very thin layer over the top of the cheesecake. Top with fresh cherries and chill for another hour before serving. 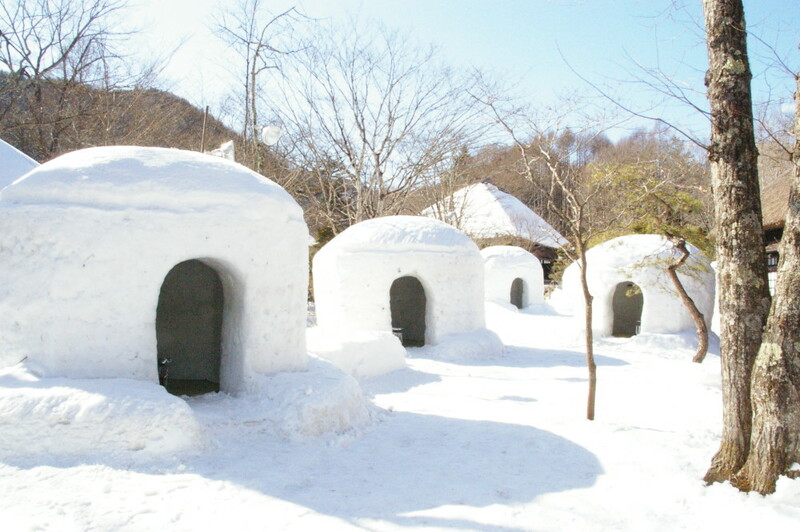 Yokote Japan is a place where you will find little snow caves built by children. A straw mat will be placed on the floor of the snow hut that resembles an igloo. A hibachi which is a charcoal stove is used to keep the hut warm. The hibachi is also used to heat soup and tea. 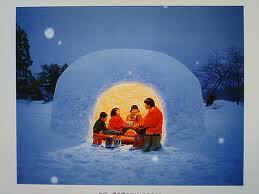 Families will visit each other's snow caves as well. We all know that snow and ice is cold but it can keep you warm. How is this done?? The snow and ice will block out the cold winds and insulate you from cold outside temperatures. The candle or hibachi provides a source of heat that will warm the air inside the snow hut. Think of the snow as a sleeping bag or blanket, it keeps the warm air in and cold air out. The smaller the hut the easier it is to warm up. In a tiny snow cave your body heat may be all that is needed. I loved to see the hippos and elephants at the zoo. It was just one of those attractions we always had to go see. Some of my friends have traveled to Africa on mission trips and have seen the amazing animals in the real. The Hippopotamus is a large herbivorous mammal in Sub-Saharan Africa. The name of these great animals comes from the ancient Greek for "river horse" The hippo is the third largest type of land mammal and the heaviest Believe it or not hippos are related to the cetaceans family which includes whales, porpoises. The family of hippos has been tracked back to 16 million years ago. The barrel shaped torso, wide opening mouths revealing canine tusks, nearly hairless bodies, columnar like legs are all descriptions of hippos. The average adult hippo weights 1,500 kg or 3,300 lbs. for a male and a female weights around 2,900 lbs. The stocky shape does not slow the hippo down as they can run up to 19 mph over short distances. They are highly aggressive and unpredictable animal and is ranked among the most dangerous animals in Africa. Hippos face danger in habitat loss and poaching for their meat and ivory canine teeth. Hippopotamus are semi-aquatic and often are found in rivers, lakes and swamps. Normally you will find a territorial bull presiding over 5 to 30 females and young in a stretch of the river. The large animal stays cool by staying in the water or mud. Hippos reproduce and give birth in water as well. The animals will come out of water and graze on grasses and spread out when they are on land. Gumdrops are a type of candy, in fact one of my favorite candies. Gumdrops come in many different colors and sizes. The brightly colored pectin based pieces shaped like a narrow dome. Gumdrops are often coated with granulated sugar. 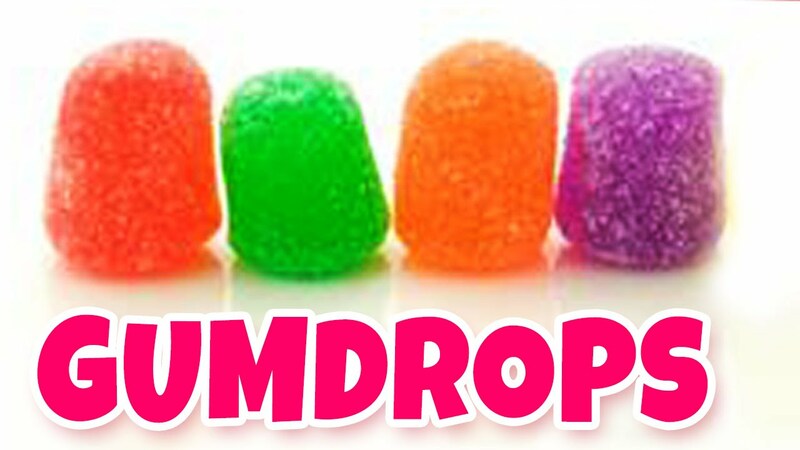 Gumdrops also come in a variety of flavors many times fruit and spice flavors. Spice flavored gumdrops are often known as spice drops. National Gumdrop day is celebrated on February 15th of each year. Today, share a few gumdrops between you and your friends. I can recall sharing orange slices and spearmint leaves with my dad from time to time. Both of those candies are also forms of gumdrops. During the late 1800's candy became widely available at the little shops. Before this time much of the candy was made at home. While candy is sweet it is only 6% of the added sugar in the average American diet while soft drinks and juice account for 46%. Candy has often been a health scapegoat being blamed for everything from polio to tooth decay. Today there are those that are blaming it for obesity. . In a large pot (yes, a large stew pot, you'll need it! 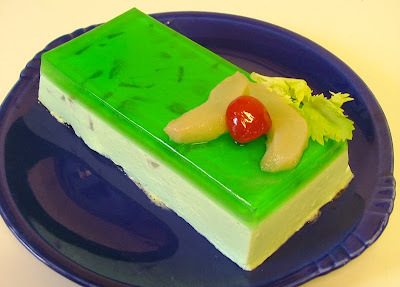 ), stir together the gelatin and cold water. Let sit 5 minutes. Meanwhile, let the additional water come to a boil in a small saucepan or in the microwave. Pour the boiling water over the gelatin mixture and stir until dissolved, about 1 minute. Place the pot over a burner at medium-high heat. Bring to a boil, then reduce heat to medium-low. Let simmer for about 25 minutes stirring constantly and scraping sides to avoid burning any sugar. The mixture will get quite thick. Remove from heat and stir in the flavor extract of your choice. Next, add food coloring, or divide the mixture among bowls and add food coloring for multiple colors. 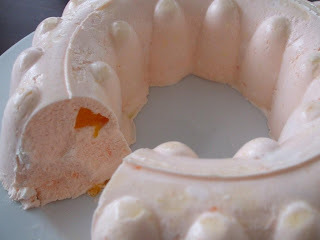 Remove candy from molds. If you need to cut the candies, run your knife under hot water before each cut to avoid sticking. Roll in extra sugar to coat. Place on a wax paper lined tray. Cover with a tea towel and let sit at room temperature for 48 hours to crystalize. Note: Want sour candies? Instead of rolling the candies in plain sugar, add a tablespoon or two of citric acid.